Five Critical Steps to Cover in Palliative Care to Rock Your Consultations in CSA! « ROCK YOUR CONSULTATIONS, GET MORE MARKS! Home → FREE CSA RELATED ARTICLES → Cancer & Palliative Care → Five Critical Steps to Cover in Palliative Care to Rock Your Consultations in CSA! 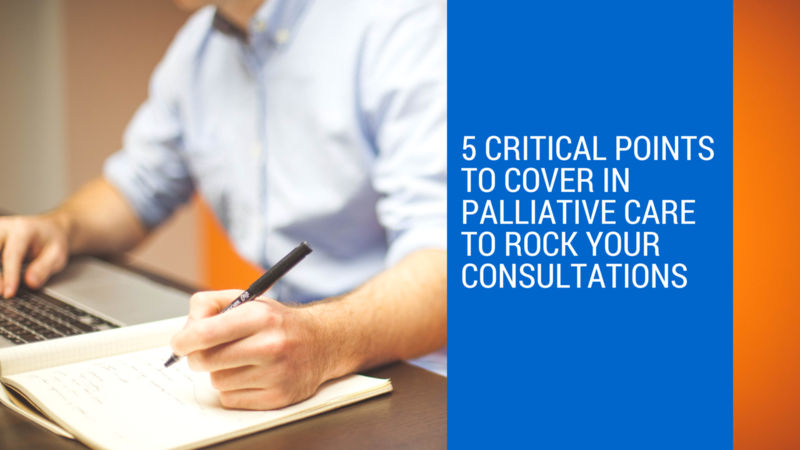 Five critical steps to cover in palliative care to rock your consultations under ten minutes! Assess and manage the physical symptoms, psychological needs, social needs and religious or spiritual needs. Offer the level of support people need may range from an informal sharing of ideas about life, death, and the ultimate purpose of our existence, to the provision of formalized religious ritual. Address the needs of the family and carers — they may have specific concerns such as fear of the person dying and financial worries. How the Prognostic Indicator Guidelines (part of the Gold Standards Framework) can be used to estimate the prognosis. How to recognize the signs of dying in the terminal phase so that appropriate management pathways, such as the Liverpool Care Pathway (which offers a framework for caring for people at the end of life), can be utilized. The importance of Effective communication (verbal and written) with the patient, their carers, and other healthcare professionals. How to use a multidisciplinary team because of the multidimensional nature of problems in palliative care. How to provide the necessary information, sign-post to relevant services, offer accurate & holistic assessment of a patient’s needs, Coordination of care teams, basic levels of symptom control and the bereavement support. Join CSA SMARTSUCCESS ONLINE PROGRAMME Now!